226 Lukie Points will be rewarded to you when you buy this. 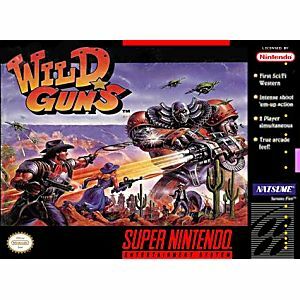 Wild Guns SNES Super Nintendo Game Cartridge Cleaned Tested and Guaranteed to Work! 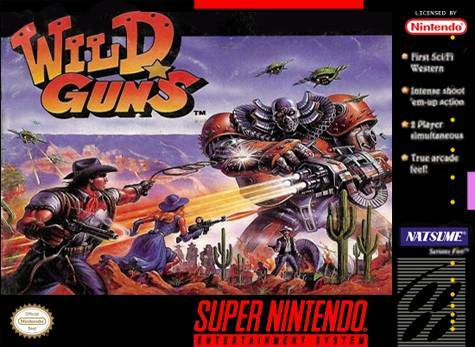 Super Nintendo Wild Guns has been elevated to cult status thanks in part to an entertaining Wild West story with steampunk aesthetics. 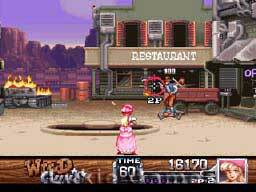 Wild Guns is a shooter which features single and cooperative game play, where players can control either Clint or Annie. 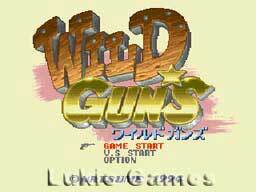 Lukie Games guarantees this is the authentic original SNES Wild Guns game cartridge. There are two reasons why this game can give you a heart attack: #1. It is an old style arcade shooting game with action left and right. Just starring at the screen when you set off an explosion might provoke an eyegasm. By the time you reach the final level there isn’t much left to do but cross your fingers and button mash. When playing two player mode: “Ladies and gentlemen, welcome aboard, this flight is non-stop service to seizure land. Please make sure you seatbelt is securely fastened at this time. There are no emergency exits on this aircraft.” The screen flashes a similar color as both cursors and it gives you no time to keep track of which one is yours. This mode is definitely recommended. I don’t think they intended this game to be played alone. #2. One of many games for the SNES who’s price will shock you. Sometimes the price of a game says 1000 words.